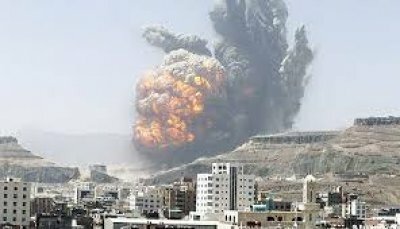 US-backed Saudi aggression warplanes launched five air strikes on a residential area northern the capital Sana’a on Sunday morning, an official reported. The targeted location is in Al-Jiraf area. Airstrikes caused large damage to nearby homes, private and public infrastructures. Meanwhile, the aggression warplanes continued hovering heavily over the capital since early morning.